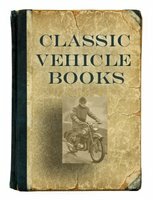 AMC car books cover the history of AMC plus owner's manuals and buyer's guides for AMC automobile models. 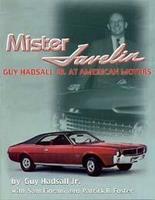 Mister Javelin: Guy Hadsall Jr At American Motors by Guy Hadsell Jr (2007) is the autobiography of Guy Hadsall Jr - the man who gave the American Motors Javelin sports car its name. Hadsall was in charge of sales promotion at AMC and in this book he gives an insider's no-nonsense look at how an automobile company really functions. 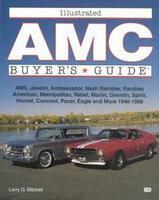 Illustrated AMC Buyer's Guide by Larry Mitchell (1994) covers AMX, Javelin, Ambassador, Nash Rambler, Rambler American, Metropolitan, Rebel, Marlin, Gremlin, Spirit, Hornet, Concord, Pacer, Eagle and more. 1946-1988.